Nothing shows your appreciation and helps to expand your business more than a "Thank You". It is something that is always remembered. Blackstone offers thank you cards, foldovers and notes which are easy to use and can have a place for your business card. We also personalize the copy for a specific or a general "thank you" to reflect your desired thoughts. We will print your message on any card or foldover, in any color, stock or size, and use any printing process that you desire. Blackstone’s Thank You / Business Cards Foldover come in white or natural white with envelopes. The foldover, comes die cut so your business card shows. “Thank You” is imprinted leaving space for a short personal note or signature. "FYI Thank You" cards are used for a quick thank you to your clients. Blackstone's Standard "Thank You" cards come preprinted with a “Thank you for Your Referral” or just a “Thank You” leaving space for a personal note. Both versions have a place for your business card to be attached at the bottom. We offer a large variety of special seasons greetings cards and calendars from which you may choose. After you select your "holiday-seasons greetings" from our many catalogs, we imprint your firm name and address on the cards and matching envelopes. 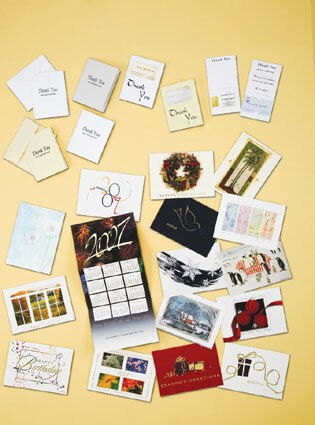 We offer a large variety of birthday and sympathy cards from which you may choose. After you select your cards from our catalogs, we imprint your firm name and address on the cards and matching envelopes. Please call for pricing on all cards. FLORIDA SALES TAX: If applicable Florida Sales Tax will be added to orders. BLACKSTONE Legal Supplies, Inc. reserves the right to add a 1 1/2% service charge on all accounts due over 30 days. All prices listed are subject to change without prior notice. Click here to see many many more promotional products! Blackstone Legal Inc., All rights reserved.